Experienced and qualified pilots are a valuable and necessary asset in business aviation; now more than ever before. 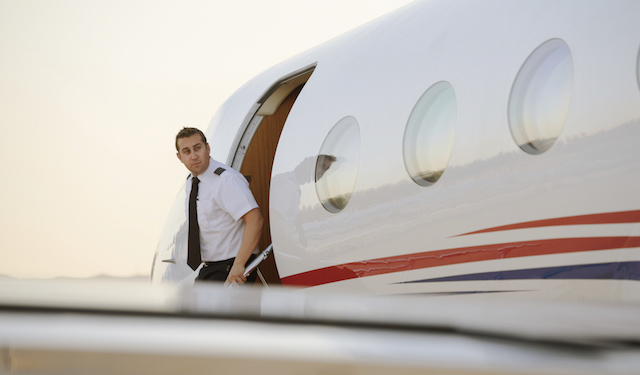 Over the next two decades, private jet operators will be challenged to quickly fill vacant crew positions; which could significantly impact aircraft owners and private jet charter. Economic prosperity, increased travel demands, mandatory retirement, and various barriers to entry into the career as a professional pilot have contributed to the pending pilot shortage edging close on the horizon. Aircraft owners need be aware of the inequality of supply versus demand for professional pilots. The mismatch could have a significant effect on operating budgets, aircraft crewing, and private jet travel. In the current market, professional pilots have options regarding which aviation company to join. Some corporate pilots— interested in quality-of-life, stability, and compensation growth— are leaving business aviation and joining commercial airlines like Southwest, United, and Alaska. While commercial airlines are getting more and more aggressive in their recruiting tactics, data indicates that there are just not enough pilot candidates available industry-wide. At Clay Lacy Aviation, the attention to hiring quality professionals— highly skilled aviators, with the desire and ability to communicate effectively with aircraft owners and other high net worth travelers— will remain the same, regardless of the pilot shortage. What will change are the salaries such candidates garner and the amount of time it takes to find professional pilots with the necessary experience and abilities. “When hiring pilots, we maintain a strict standard of safety, competency, and professionalism,” says Preston. Compensation is always important, but for aircraft owners, the solution to the pilot shortage may involve more than throwing money at the problem. A pilot’s quality-of-life is profoundly influenced by a variety of factors beyond dollars and cents. According to Tom Wachowski, founder, and host of ‘Private Jet Podcast,‘ there are a few reasons why pilots remain happy in their business aviation careers. One point mentioned is the ‘direction,’ or management landscape of a private jet operation. “Flight attendants, maintenance technicians, and pilots want to be confident in the leadership at a company,” Tom says in his podcast. How does Clay Lacy Aviation choose the most skilled and experienced pilots for its aircrafts? Find out here. Additionally, flight scholarship opportunities are available to assist motivated individuals with an interest and aptitude for aviation. Currently, Clay Lacy supports a number of scholarships for aspiring professional aviators.